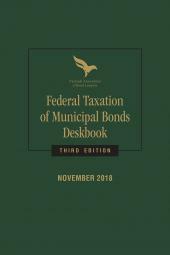 The newest edition of Federal Taxation of Municipal Bonds Deskbook from the National Association of Bond Lawyers gathers a selection of the most commonly used IRC sections and applicable regulations dealing with municipal finance, as well as the most relevant statutory and legislative history cites for each section, SLGS regulations, and important revenue procedures. Organized by code section for easy reference, this convenient Deskbook is the portable solution for bond and tax attorneys, issuers, underwriters, and financial advisors who need fast access and definitive answers. Changes to IRC Sections made by Pub. L. No. 115-141, Consolidated Appropriations Act, 2018 and Pub L. No. 115-97, Tax Cuts and Jobs Act of 2017. Addition of Proposed Treasury Regulation § 1.147(f)-1 regarding the public approval of private activity bonds. 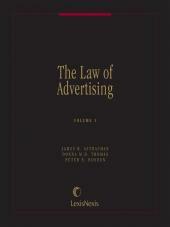 Addition of Proposed Regulation § 1.149(a)-1 regarding obligations required to be in registered form. Addition of Rev. Proc. 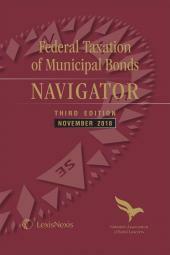 2018-26 regarding extension of remedial action for alternative use of disposition proceeds and remedial action for tax credit and direct pay bonds. 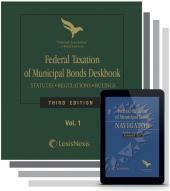 Trust the NABL and LexisNexis for complete and accurate coverage of municipal bond issues. 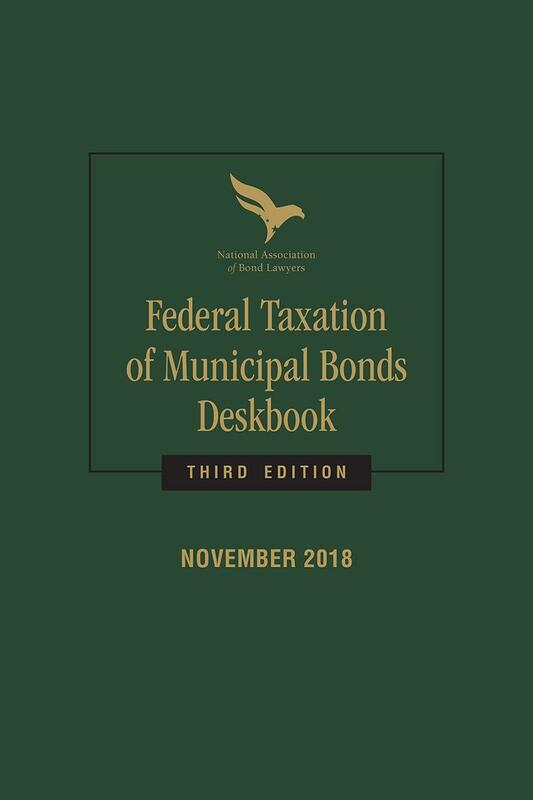 Turn to this handy Deskbook when you need to find answers to your most common issues, or purchase it as part of the complete Federal Taxation of Municipal Bonds, Third Edition set. To learn more about other NABL products, please click here. The National Association of Bond Lawyers exists to educate its members and others in the law relating to state and municipal bonds and other obligations, providing a forum for the exchange of ideas as to law and practice, improving the state of the art in the field, providing advice and comment at the federal, state and local levels with respect to legislation, regulations, rulings and other actions and providing advice and comment with regard to state and municipal obligations in proceedings before courts and administrative bodies through briefs and memoranda as a friend of the court or agency.